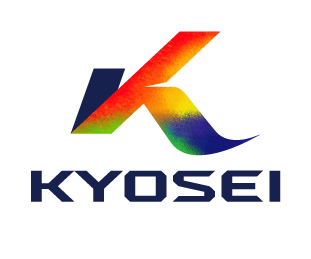 Product Example | Electronics-related parts | Kyosei Co., Ltd.
VCM springs, shutters, apertures, light-shielding plates, yokes, vapor deposition masks, metal masks, encoders, metal squeegees, filters, slits, diaphragms, earth plates, heaters, shield plates, mesh, antennae, and more. You want to make products smaller, lighter, or thinner. You want to create pressure-resistant flow channels. You want to make highly durable springs. You want to create high-definition mesh filters. You want to apply processing to composite materials (metal–resin, etc.). Engines, audio devices, drive recorders, heads-up displays, LED light components, and more. Springs for VCM (auto focus) and OIS (optical image stabilization), where we hold the top market share worldwide. Lens components for digital cameras (shutters, apertures, light-shielding plates, and pinholes). Head components for inkjet printers, flow channels for heat exchangers, special-purpose flow channels, and more. Lead frames for packages, other sensor components, and more. These components form the basis of electronic products (circuits). Compatible with all kinds of transmissive or reflective encoders. Our processes are compatible with filters with fine holes of Φ0.1 mm arranged at pitch of 0.15 mm with plate thickness of 50 um. Make your selection based on the desired specifications, such as spring load or conductive qualities. We developed and delivered the world’s first VCM springs for camera lens parts designed for smartphones. Wide-ranging consultation and support for customer needs from specialists in every field.